Several women look at flexible work options after a certain point in life and that too, for varied reasons. Some new mothers may need flexible job options so that they can balance their professional and personal commitments. Some women may want a flexible or work from home job because of other commitments. In today’s time, you can pretty much pick a career and make it work for you, from home! One good career choice for women wanting to work from home can be Content Writing. To set yourself up as a content writer, you need basic computer skills and a good internet connection. If you haven’t dabbled in writing before, you can practice by writing on different topics to create a portfolio. This practice will help you form your thoughts too and prepare you better for this field. The best part, the basic requirements to succeed in this field would involve good communication skills and the ability to write well. If you are one who can put their thoughts on paper or ideas on paper, this could work as a great career option for you! In order to turn into a full time content writer, you don’t have to have come from a certain background. Many people think that to succeed in this field, you should have experience working for ad agencies or similar others. Experience will always help however, if you can understand language and write well, you can be successful. Improve your language skills and keep writing to get better. What does a content writer do? Well, a content writer can contribute in many ways! Those who have a knack for writing formal English can help companies by working on their marketing brochures, website content and more. Those with a creative flair can take up assignments with ad agencies and work on a project basis. Content writing can extend to report writing, curriculum planning and so much more. After you set yourself up, start talking to companies. Show them what you can do and what you have done in the past, share you articles or content with people. Set up professional profiles on networking sites online and learn to market yourself! Keep improving on your skills as you go along. Keep writing, add articles to your blog and create a good portfolio. When you pitch for work, share links with people and show them how you write. 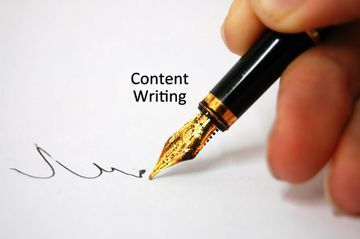 There are several websites that post work for content writers all the time. Browse through them to find interesting projects you can work on. What Does A Content Writer/Blogger Do?